Start-rite have always been one of my go-to brands when it comes to shoes for the children. So many local shoe shops stock Start-rite shoes, as well as having their online store too it makes them really accessible. 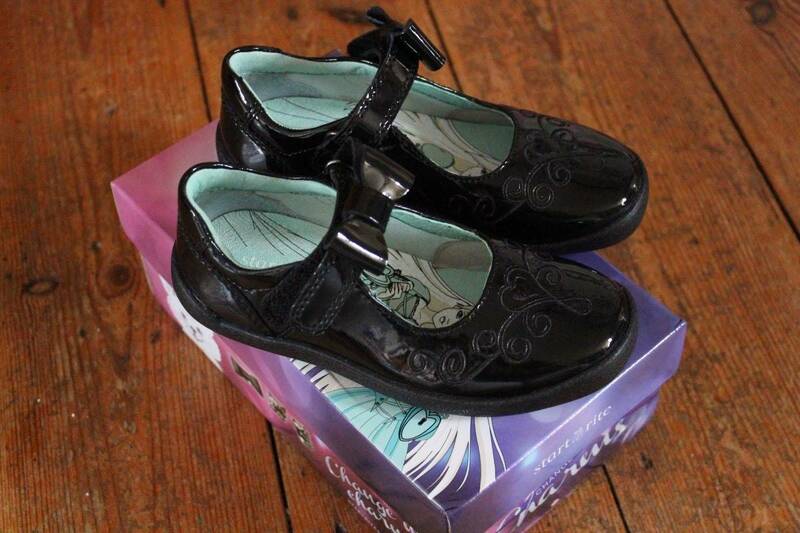 Recently, Start-rite sent LP some school shoes for the new term – Princess Elza ones that she picked out herself. LP loved the shoes immediately. What girl wouldn’t?! They are her first patent shoes as I’ve never purchased patent ones before in fear of them scuffing but Start-rite patent shoes are actually scruff resistant, opening up a whole new world of patent shoes to LP. The Princess Elza shoes have velcro fastening and gorgeous patent bows on the straps as well as lovely detailing on the toes. 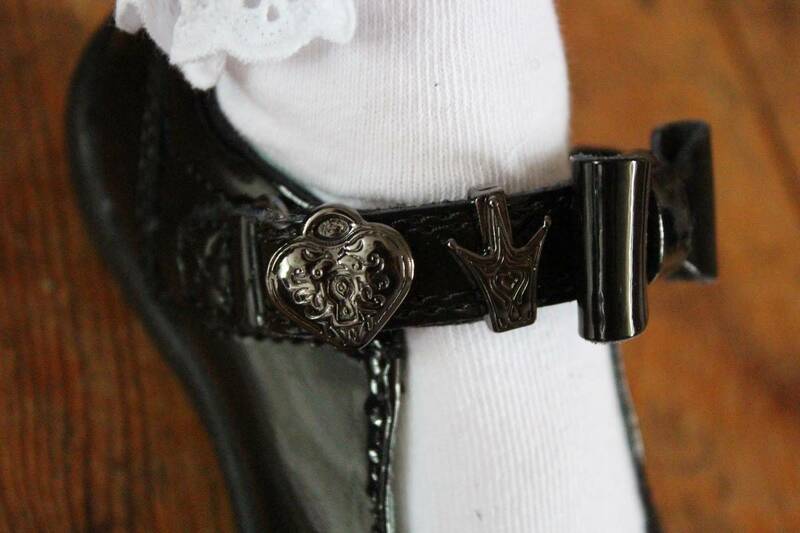 They also come with charms to add to the straps, easily LP’s favourite thing about the shoes. 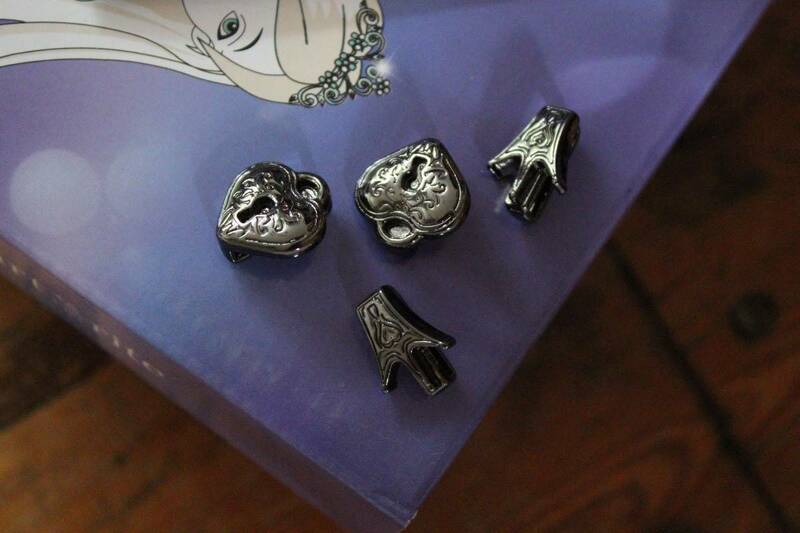 The charms have two designs, crowns and hearts, and are threaded easily onto the straps. 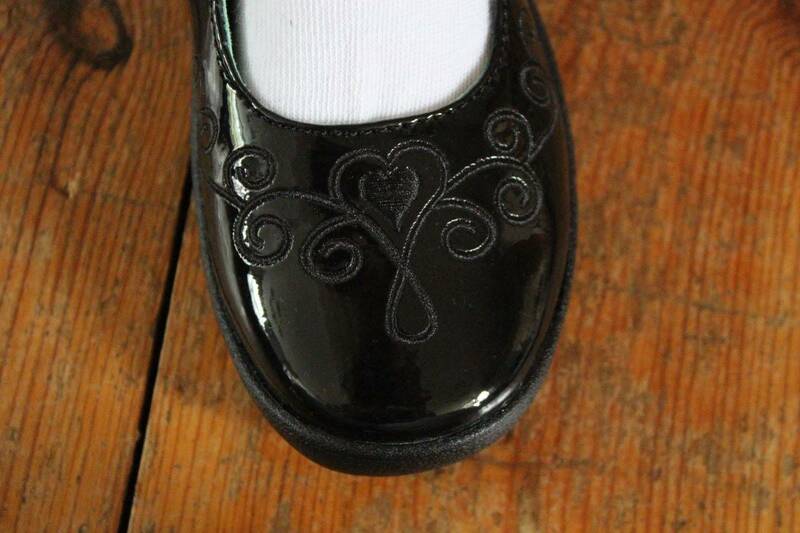 They give the shoes a little something extra and LP loves her little bit of sparkle on her new school shoes. 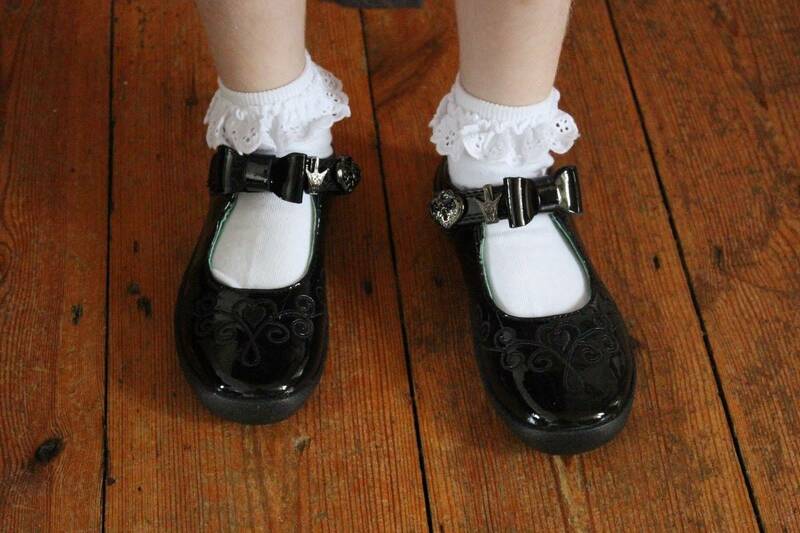 When buying shoes for LP, especially school shoes, I want ones that will be hard wearing, that will stand up to lots of playing, climbing and walking but ones that will be comfortable, that she’ll be happy to wear all day and ones that she can get on and off easily by herself. The Start-rite Princess Elza shoes tick all the boxes. They’re comfortable for LP, are yet to show any signs of wear – although, admittedly, she has only been wearing them around the house – and she can get them on and off with no issues at all. More than that, though, LP adores these shoes. I think the patent finish that she can see her face in, the charms and the pretty shoe box that they arrived in have ticked all of LP’s boxes too. 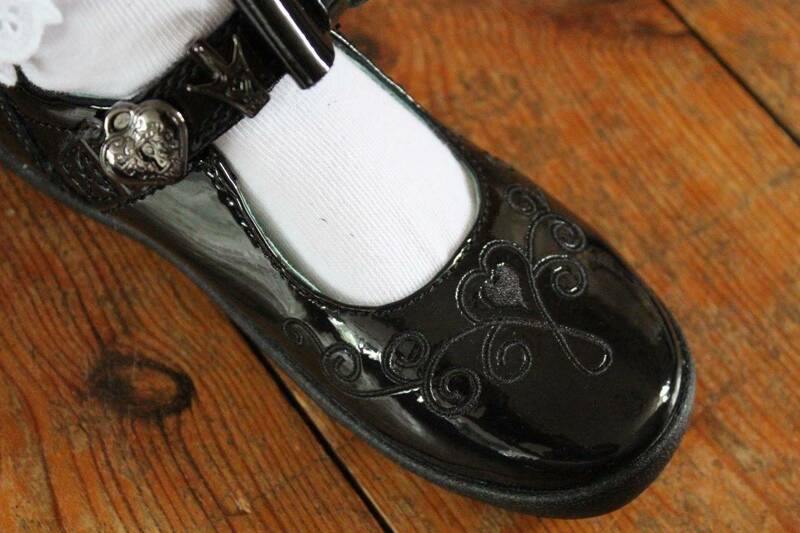 But, if you’re not keen on a patent finish the Princess Elza shoes also come in a typical leather finish too and there are also lots of other Start-rite school shoe styles to choose from. When it comes to quality, you really cannot beat Start-rite and I know that LP will be wearing these shoes until they no longer fit – and she now cannot wait for September and the start of the new school year. Oh wow! They are just fabulous!